Manhattan-based restoration consultant Michael Laudati admires the Cathedral of St. John the Divine, a landmark near his apartment in Morningside Heights. “I thought waking up to pointed arches and spires would be just the way to start my day,” he says, and he began searching for a Gothic Revival bed. Nothing was quite right. 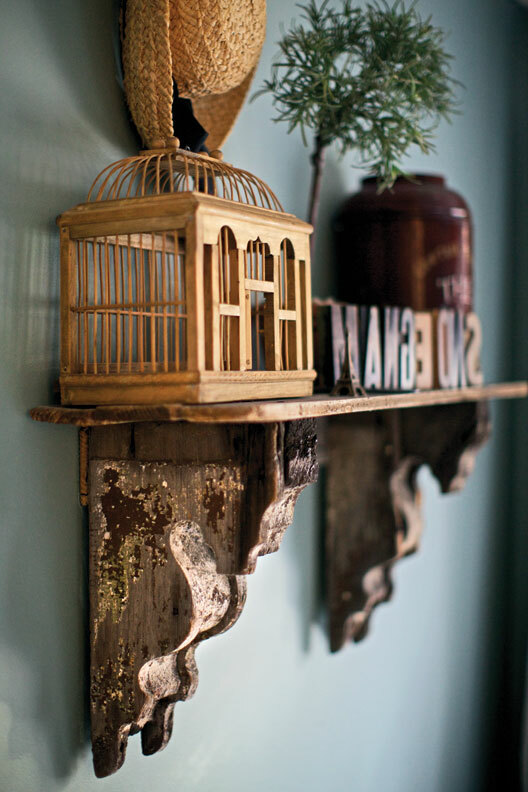 Then, at Olde Good Things in Scranton, Penn., Laudati found eight sections of salvaged, cast-iron fencing. The multi-step finish—a black glaze over silver metallic—alludes to the rich colors of medieval ironwork. For those who prefer to use only water-based products, Laudati suggests Modern Master’s metallic paint (try their color ‘Black Pearl’) for the overcoat, or using a base coat of ‘Brass’ followed by ‘English Brown’ to get a bronzed effect. 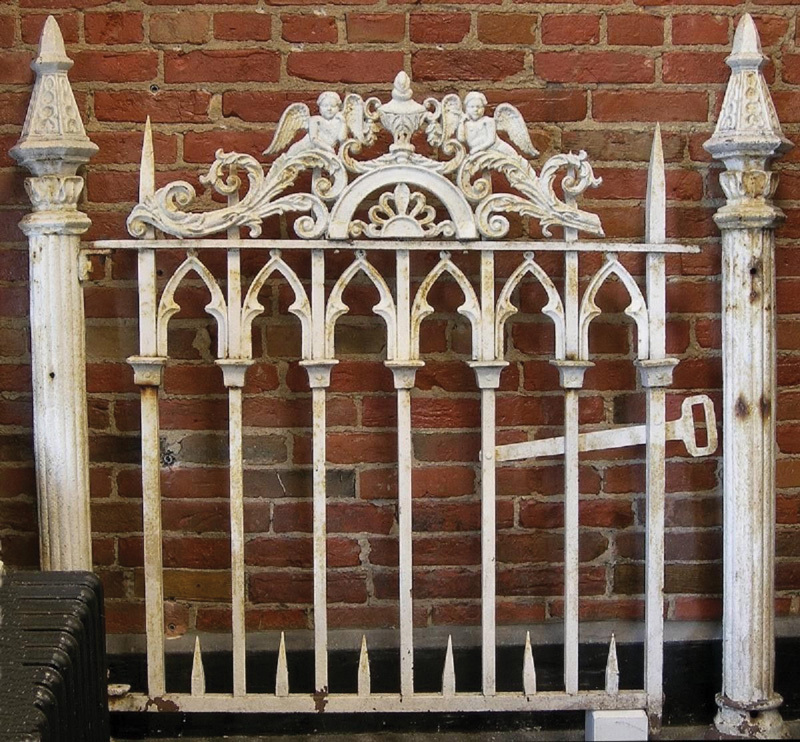 This antique, painted Gothic fence gate and posts with a coveted patina recently sold for $2,950 on eBay. A framework was made from new stock: Horizontal rails cut from a new square steel bar were strung through the appropriate openings in the cast sections to hold them together. 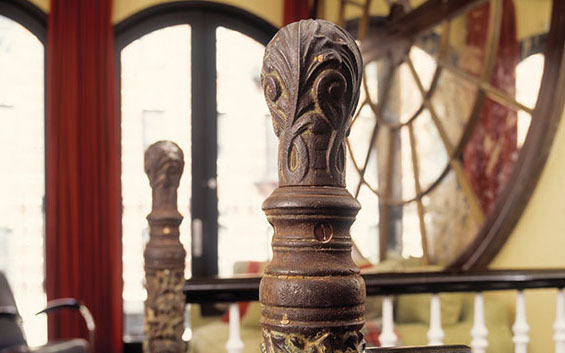 Vertical support posts were then cut and welded to the rail ends, topped with new cast finials for a finishing touch. 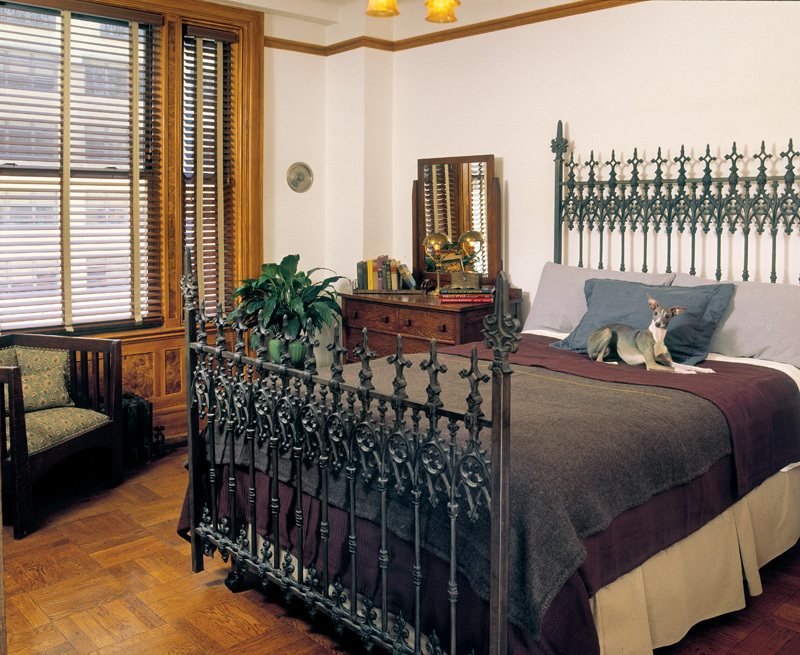 Next, a ready-made steel mattress frame was bolted to the supports, through steel tabs welded onto the four vertical fence posts corresponding to tabs on the corners of the bed frame. At this point, the entire assembly was lightly sandblasted again to ensure a smooth, even-textured surface for final finishing. A rust-inhibitive primer came first. Laudati then painted each section in a warm silver color (Modern Master water-based ‘Nickel’ metallic paint). When it was dry, he thinned an oil-based, semi-gloss black metal paint (e.g., Rust-oleum) with mineral spirits to create a muted black glaze. This glaze was applied over the silver paint, with special attention to recesses in the ironwork. Finally, wearing painting gloves, he carefully wiped and dabbed the black glaze off the surface, leaving some in the recesses to create a vintage “shadow-glazed” finish. Sandblasting is a perfectly good option for cleaning up old iron radiators or salvaged fencing—it removes paint and rust without harming the surface detail. Afterwards, the metal may be powder-coated at the metal shop, or primed and painted under controlled conditions. Clean metal may also be refinished at home, with oil-based or specially formulated water-based paint, or using a combination of products for a decorative finish with highlights. Professional shop work may not be in the budget—and sometimes it’s an advantage to keep the old patina that has developed on the metal. Wire brushing (and elbow grease) is the alternative, along with rust removal using anything from white vinegar to TSP or a proprietary rust-removal product. To leave some patina, use a wire brush or a wire-brush attachment on a grinder, but stop before the metal is fully stripped. You need a topcoat to avoid further peeling and rust stains; the easiest option is to spray on a low-gloss polyurethane. Waxing is a softer, renewable finish. 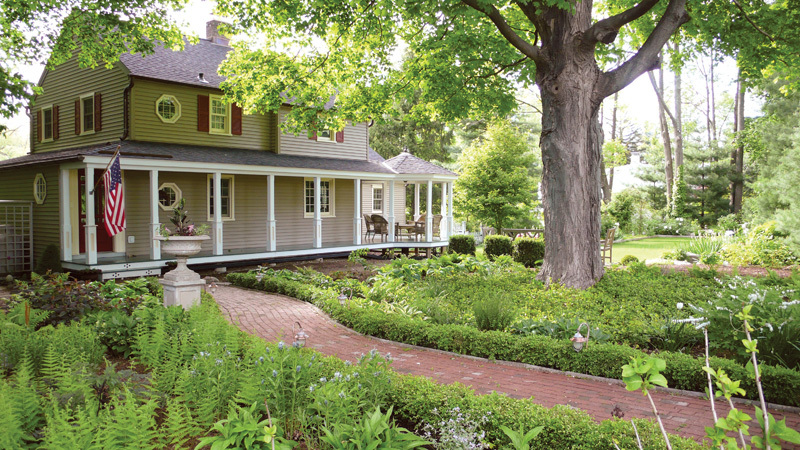 For this project, a pair of antique corbels and salvaged fence boards were combined to create a focal point the dining room.